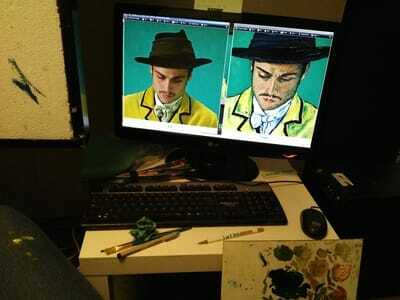 Shot painted by Charlene Mosley. 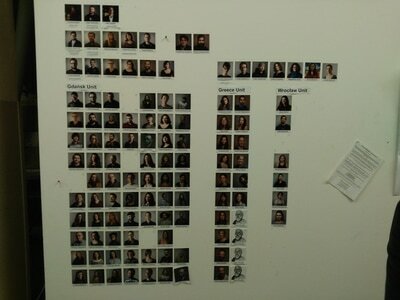 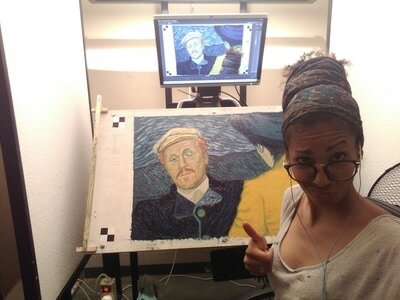 One of five scenes she worked on during her six month job on the film. 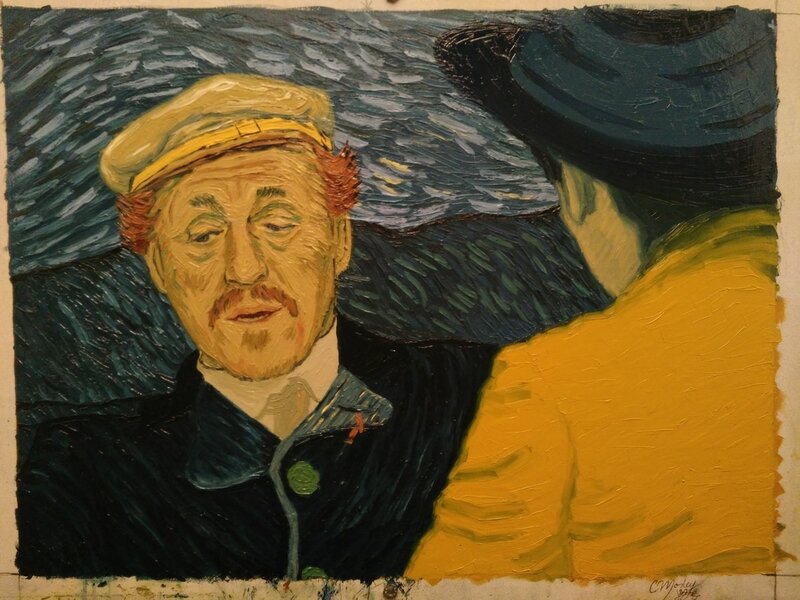 Dr. Gachet talking to Armand Roulin about Van Gogh's death. 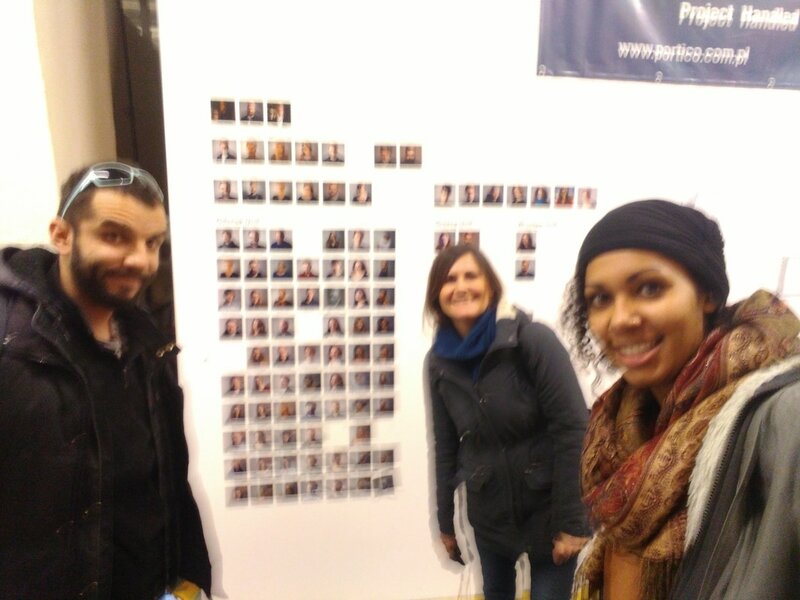 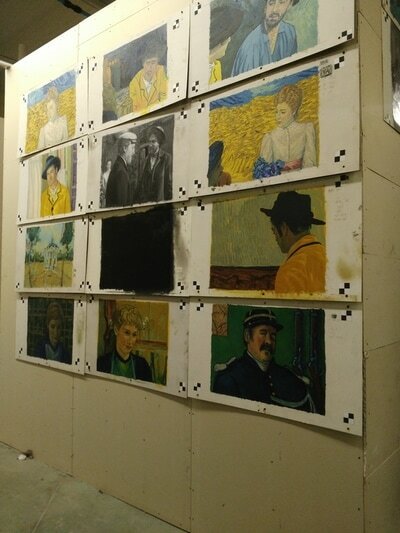 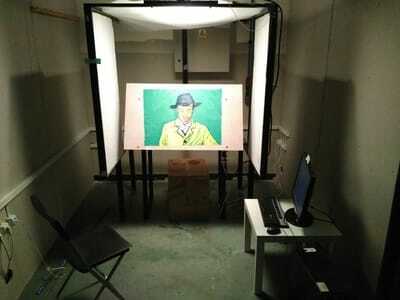 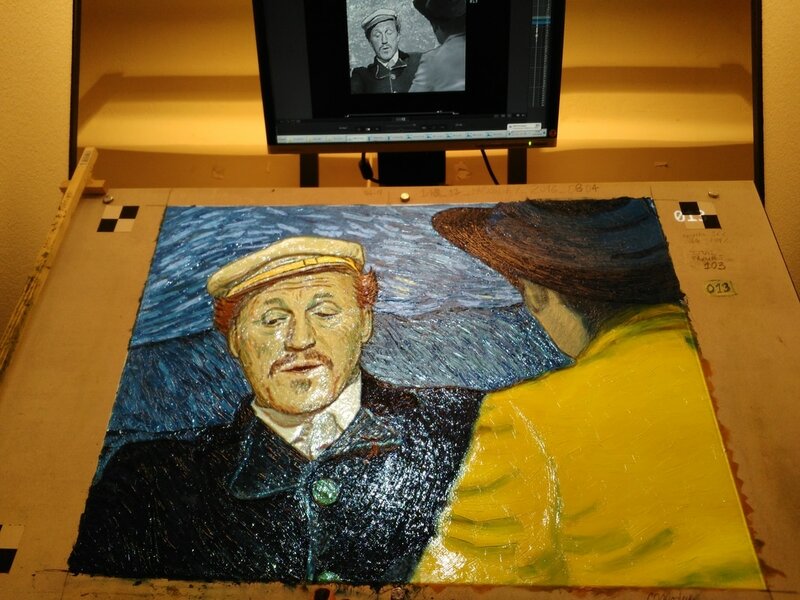 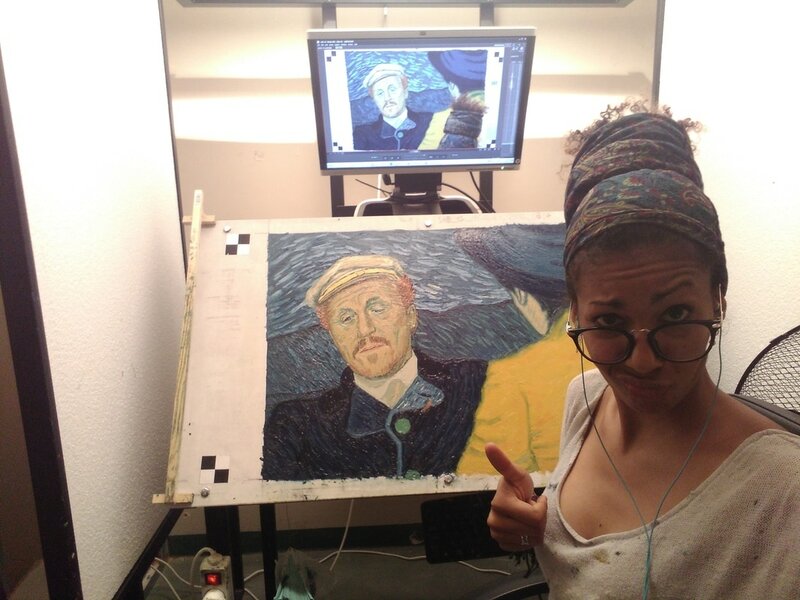 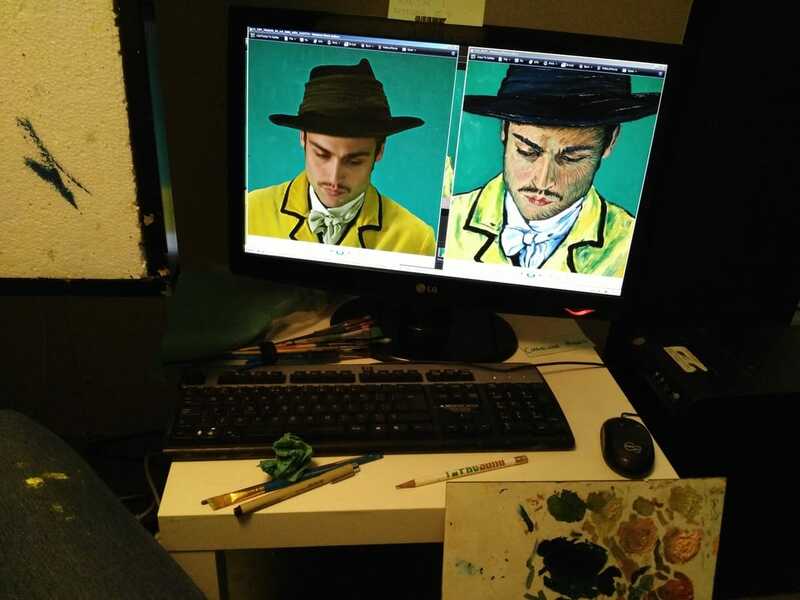 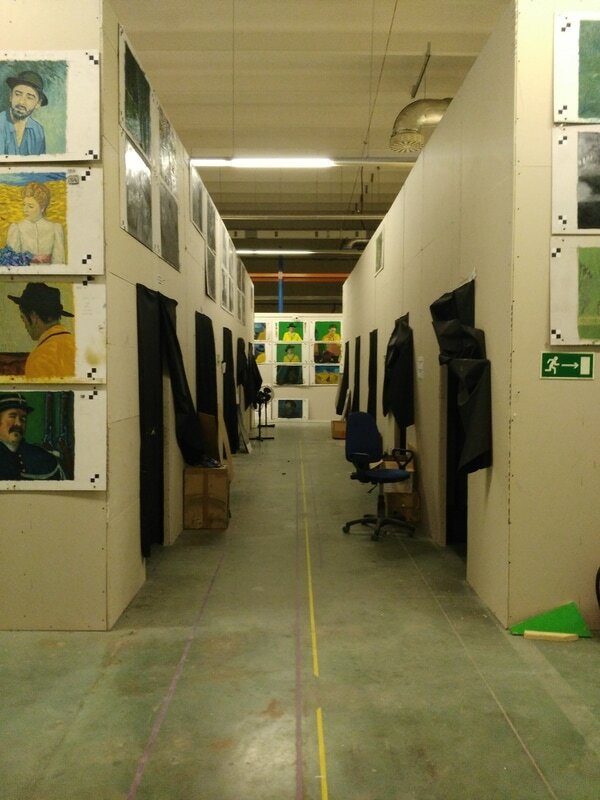 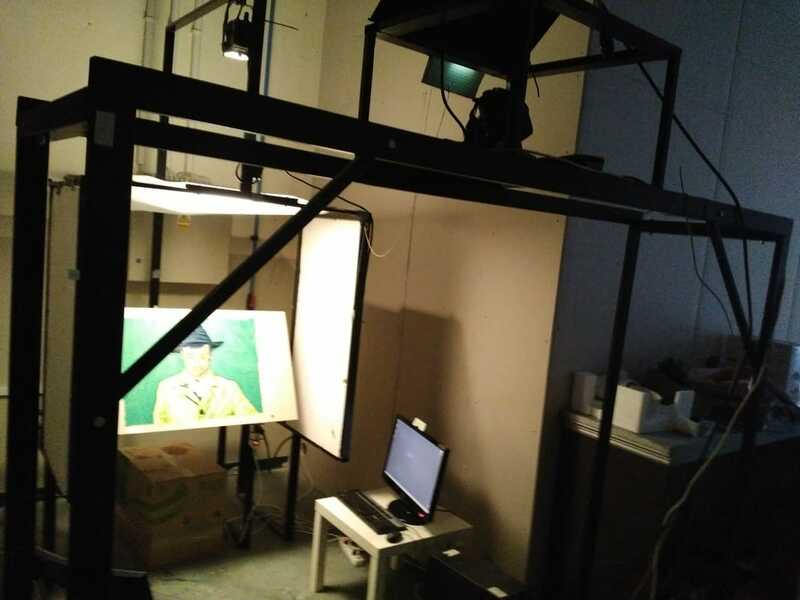 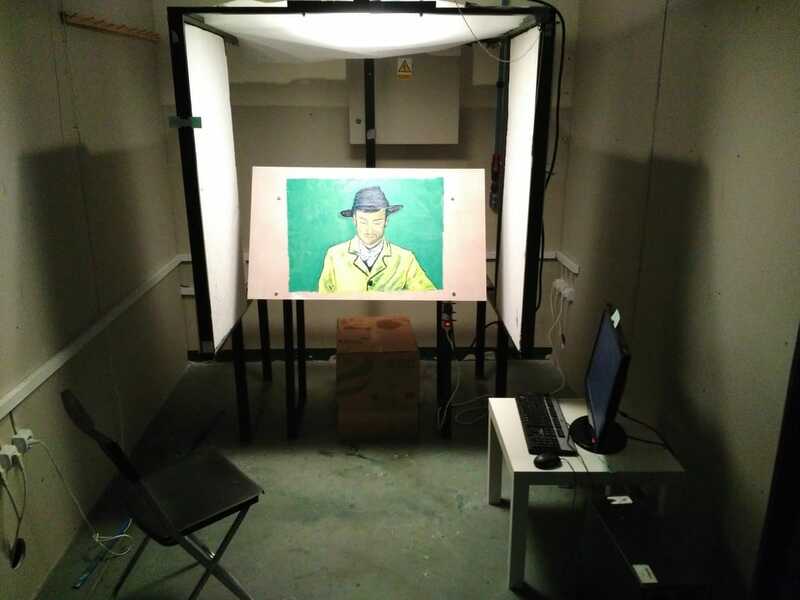 In late May 2016, Charlene Mosley was picked out of more than 4000 artists to travel to Gdansk, Poland for testing to be part of the BreakthruFilm production on Loving Vincent. 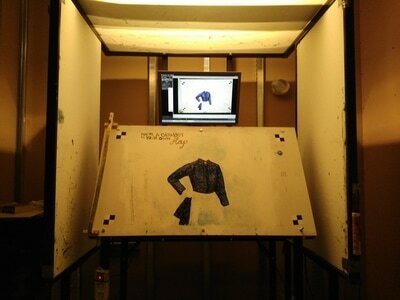 After passing the three day testing, Mosley entered a three week period of training as a painter- animator. 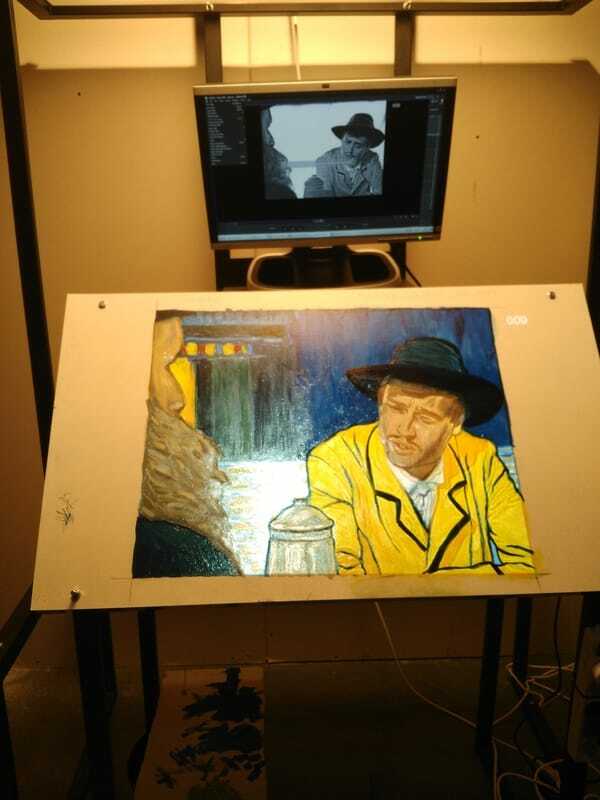 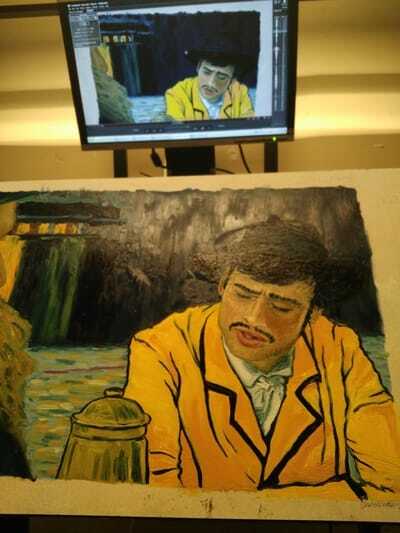 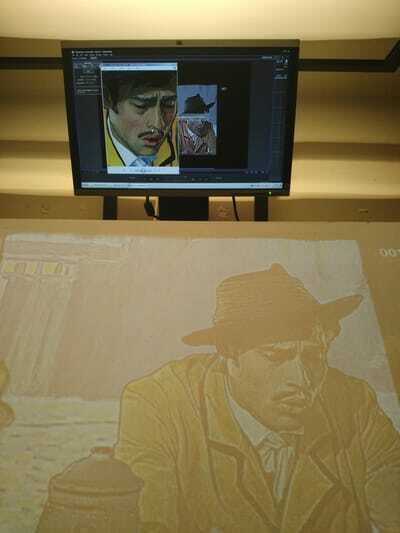 During training the studio artist was introduced to animation for the first time and learned to paint Vincent van Gogh style. 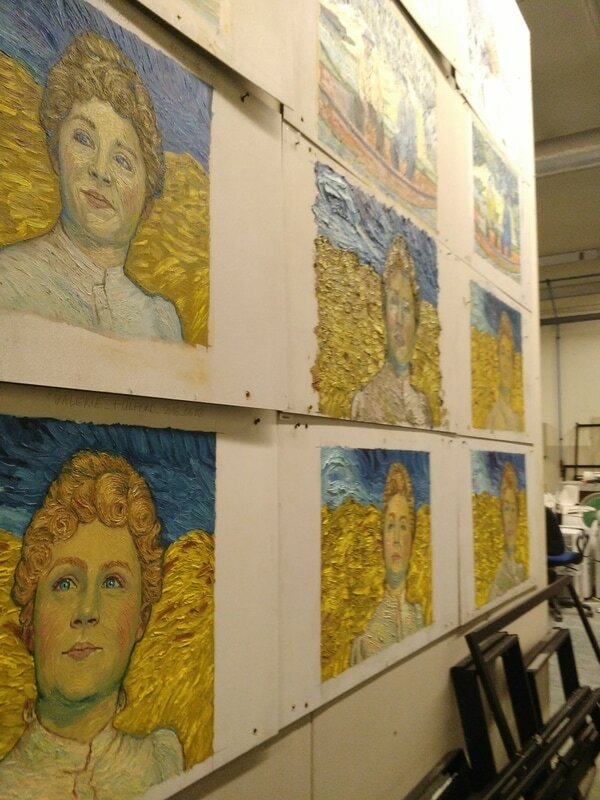 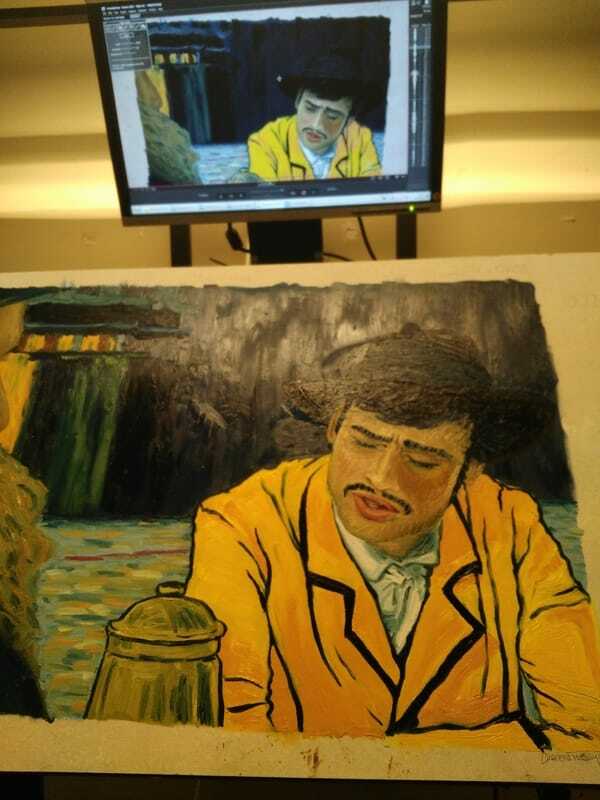 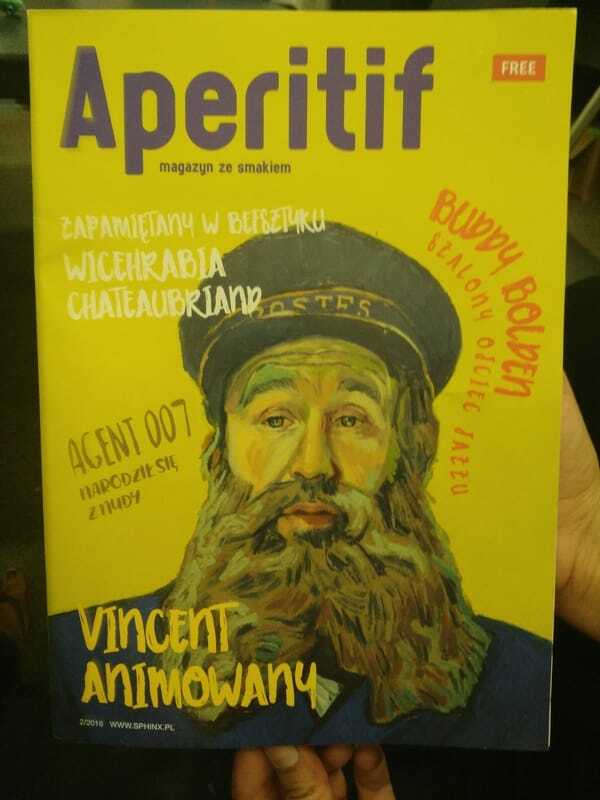 Soon she found herself working for the next six months as one of 125 international artists on the first ever fully- painted feature film, Loving Vincent. 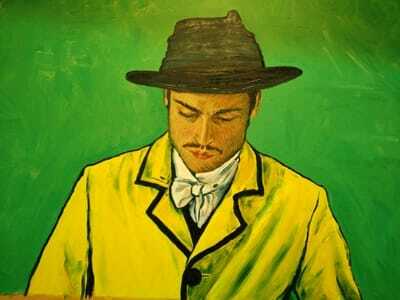 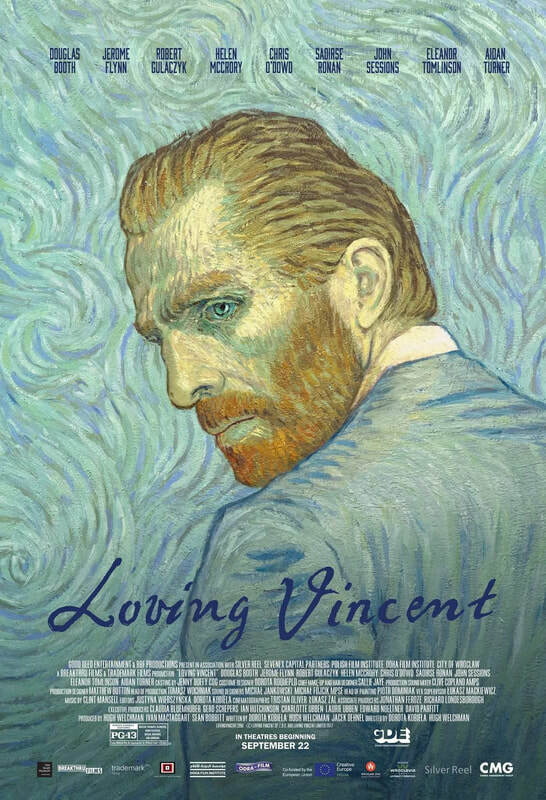 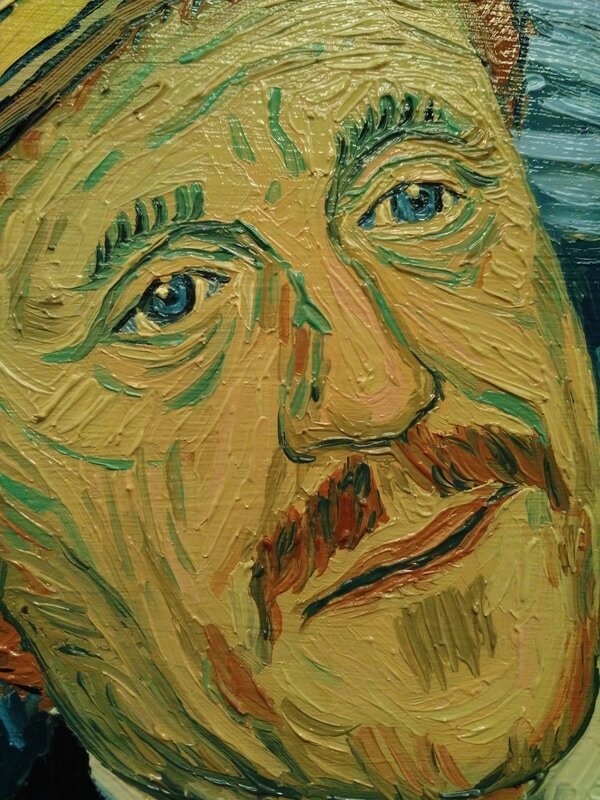 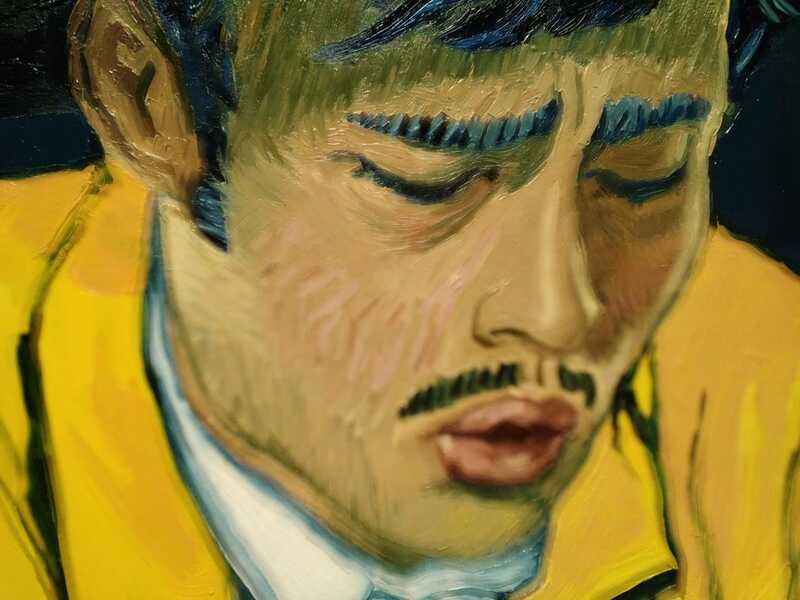 To find out more about the first ever fully painted feature film, Loving Vincent and how you can buy a painting click on the link below and explore.